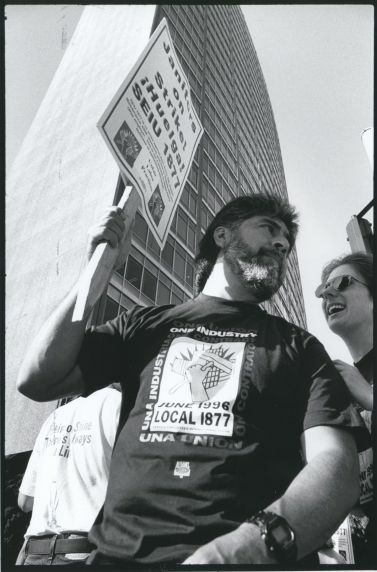 Local 1877 J4J strike, 1996. Striking janitors, members of Service Employees Local 1877, picket office buildings in downtown Oakland, during their successful strike. Janitors won a new contract, with improved wages and medical coverage, and an expiration date which will enable them to negotiate jointly with janitors in Los Angeles and other west coast cities in the year 2000.